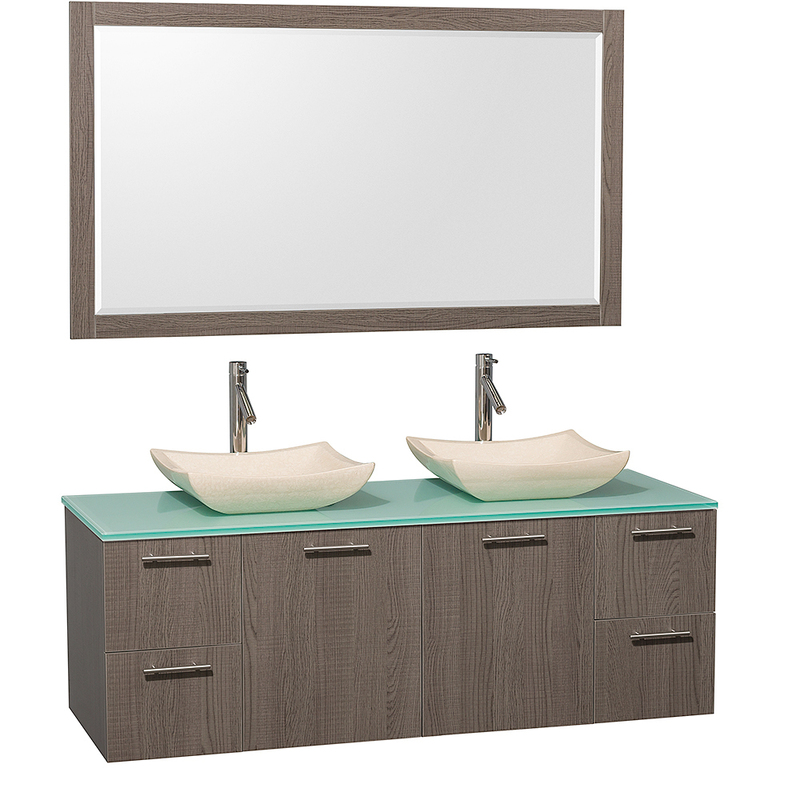 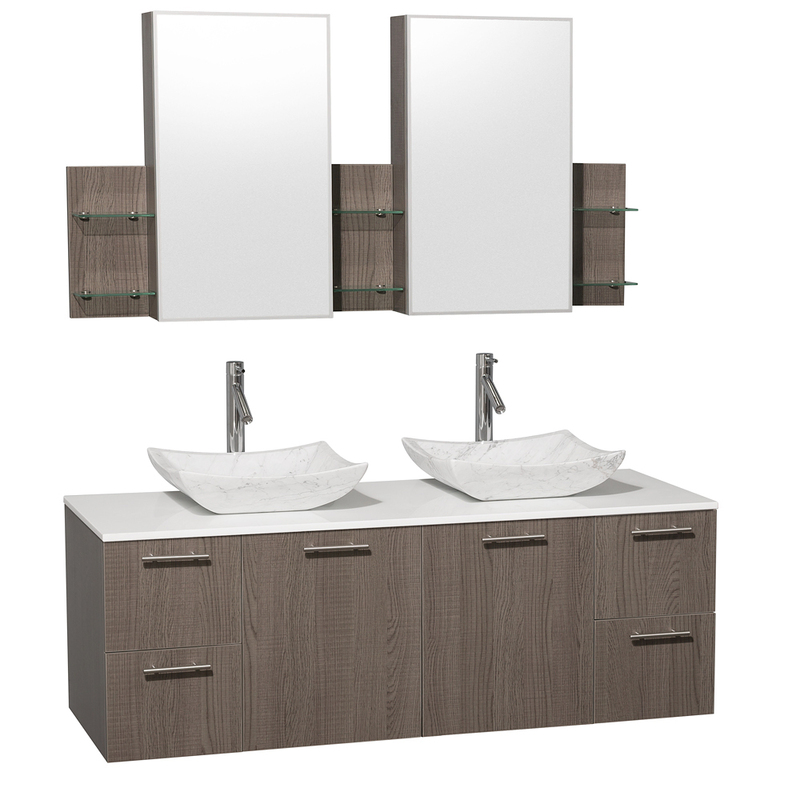 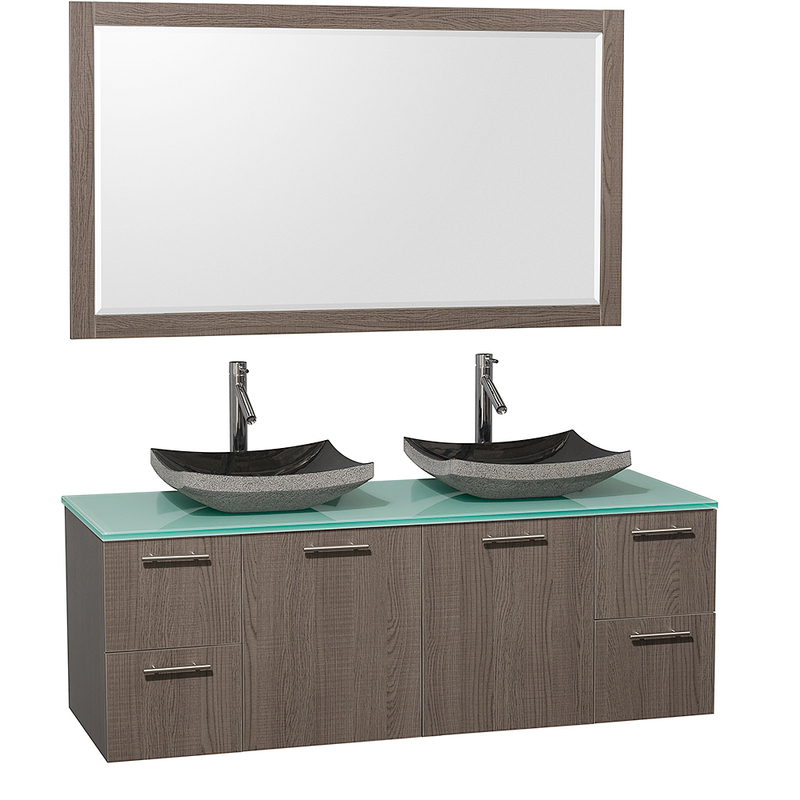 With a spacious cabinet that gives you plenty of storage space without taking up any floor space, the 60" Amare Double Vessel Sink Vanity gives you a stylish vanity that's equally functional. 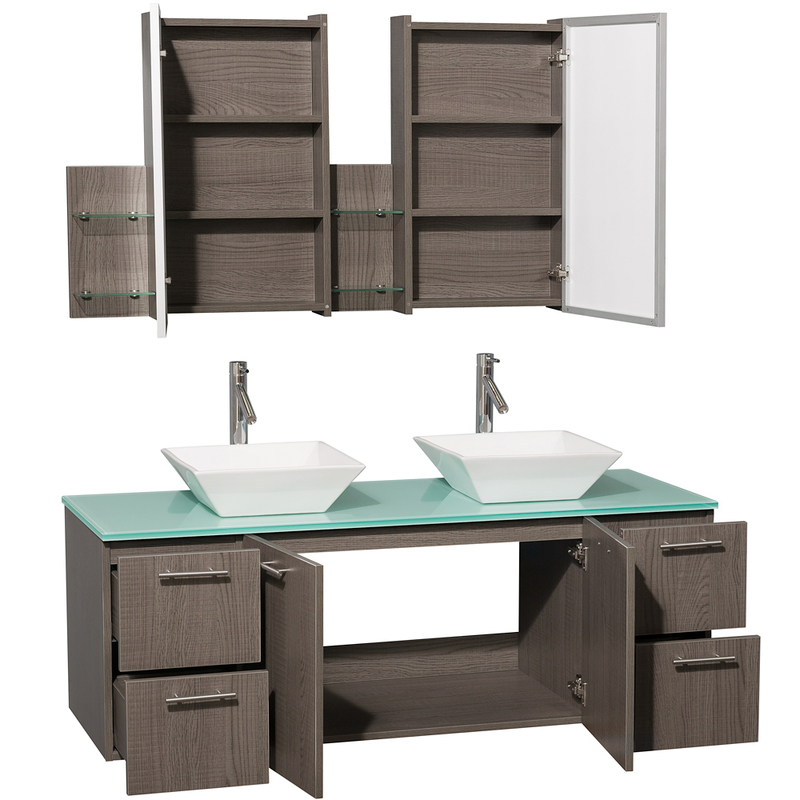 Featuring a beautifully Grey Oak finished wood grain cabinet, this vanity offers a double-door cabine that's accomapanied by four side drawers. 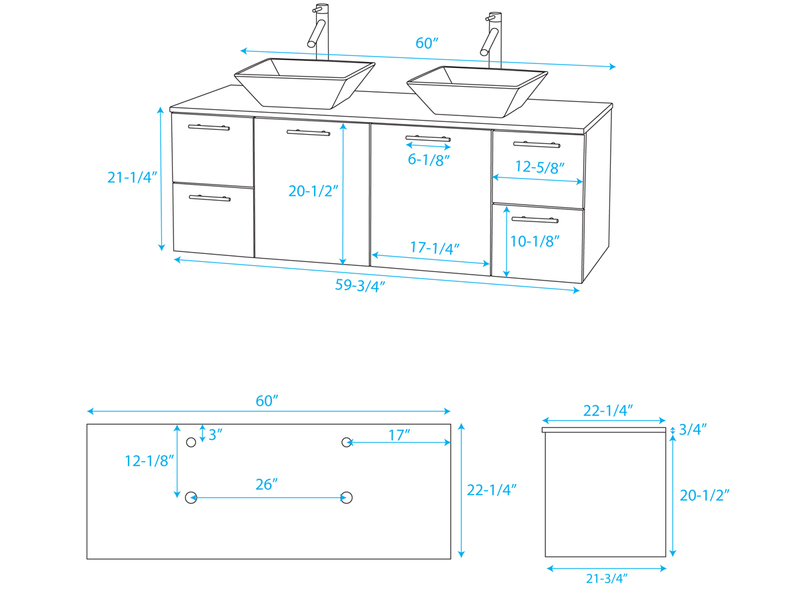 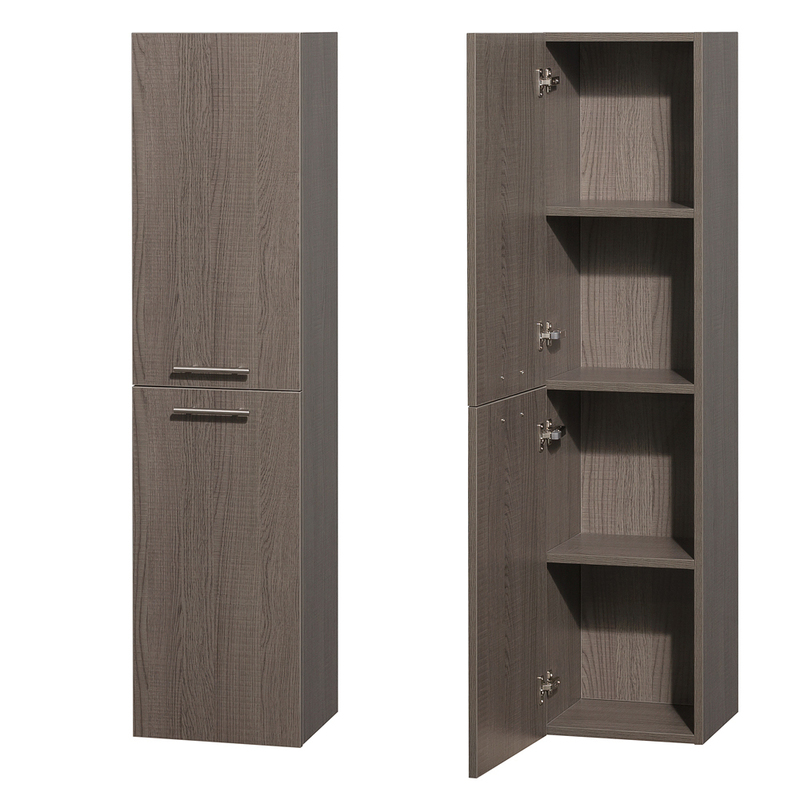 Each of these drawers and cabinet doors are equipped with soft-closing slides and hinges, respectively, and are accented with Brushed Chrome hardware. 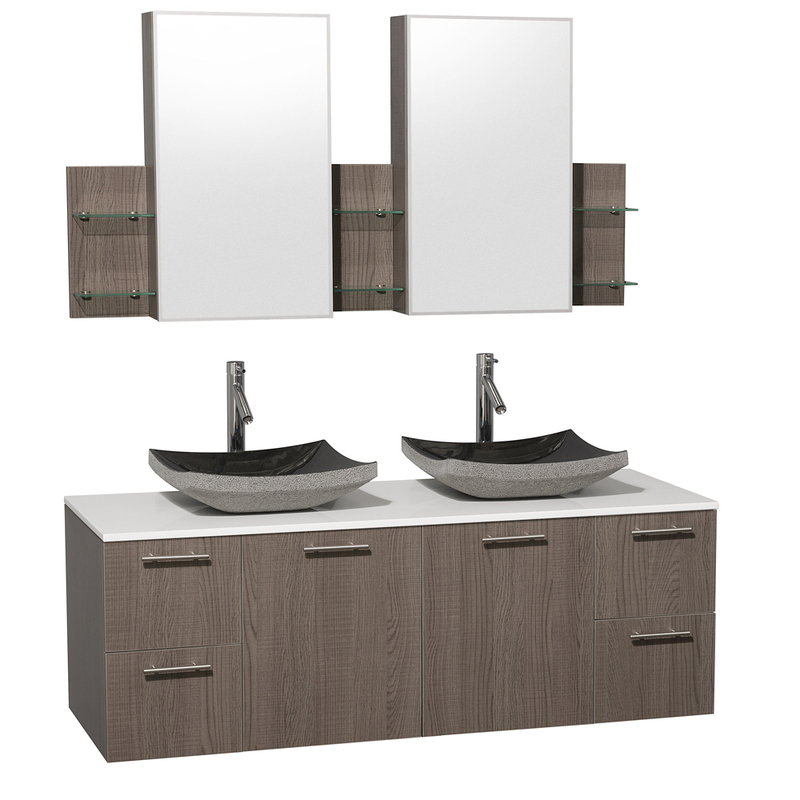 The top is available in either a modern Green Glass or a classy White Artificial Stone and is matched with one of five beautiful vessel sink options. 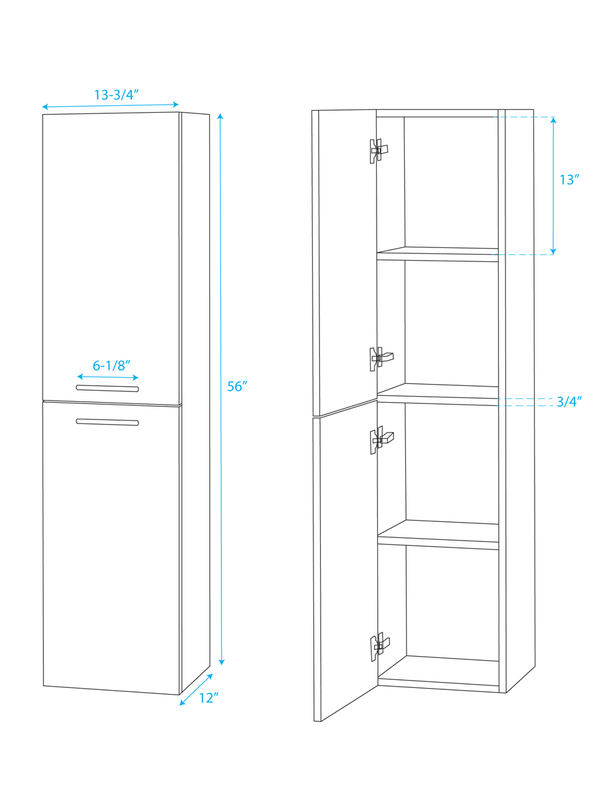 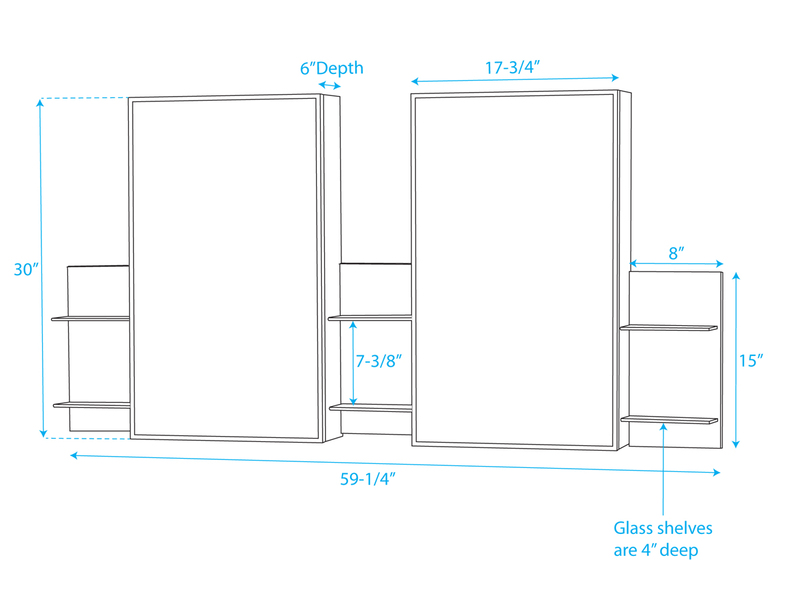 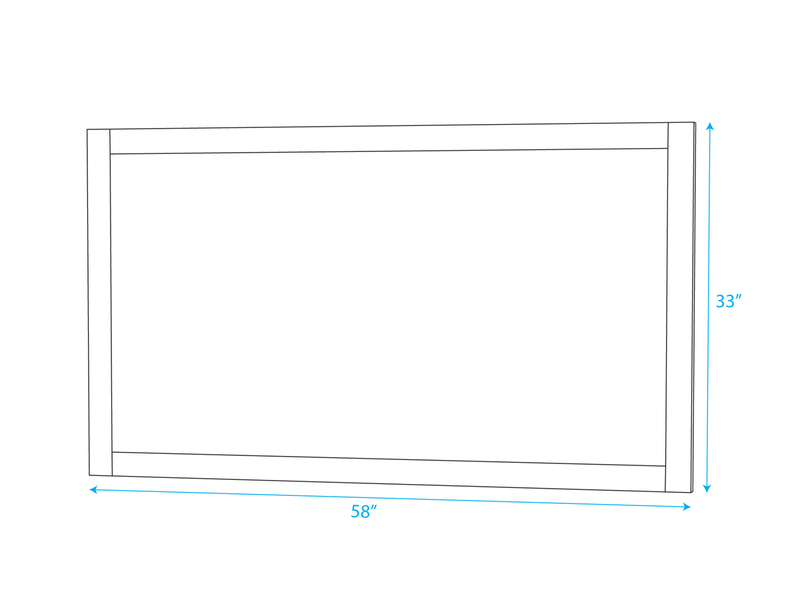 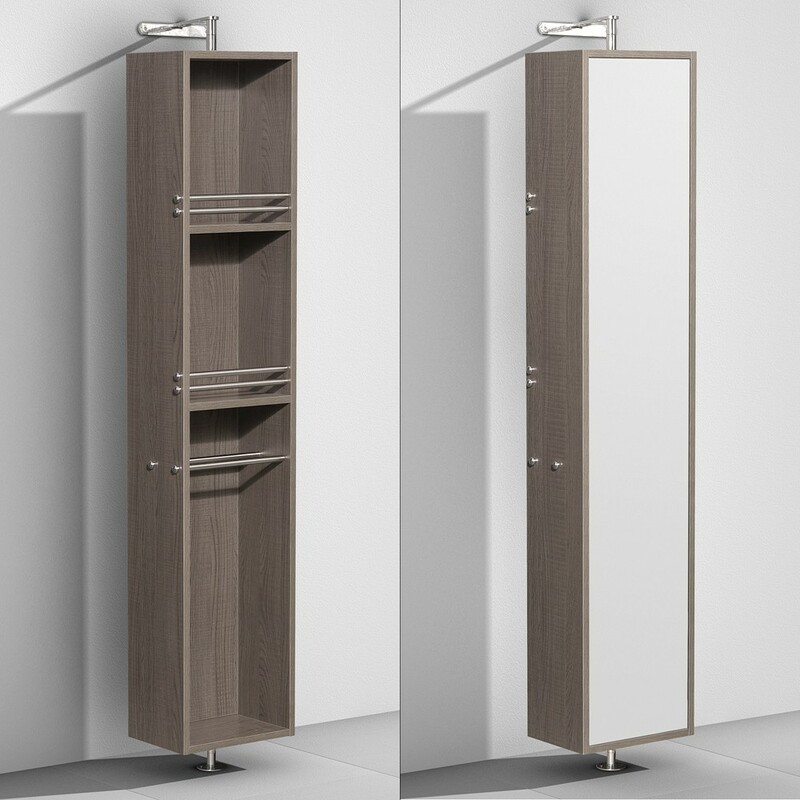 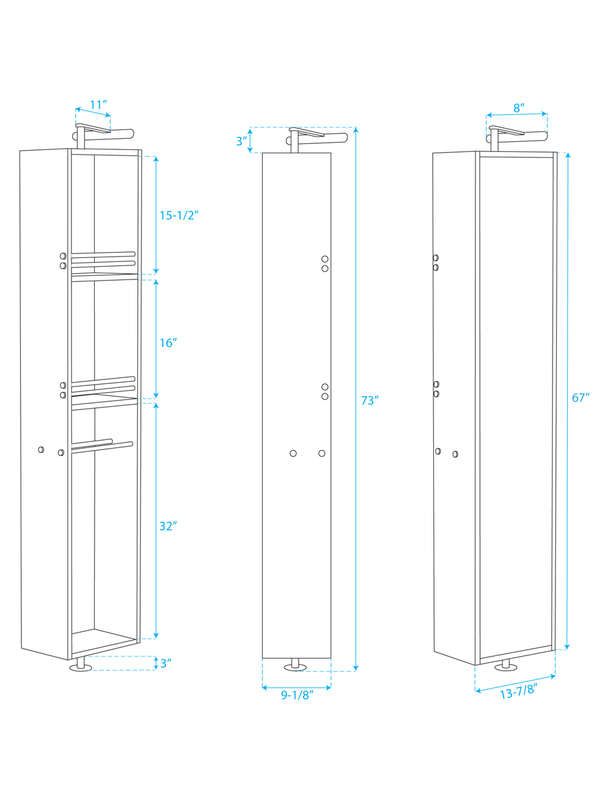 Match the Amare with either a large framed mirror or a dual medicine cabinet unit!